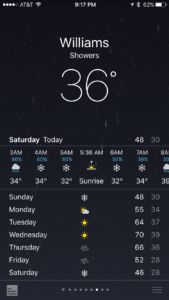 Snowed in – Live MoHo! Setting out to … Live MoHo! The weather forecast looks ominous. Snow reported along our route. Ice on the roads. We left the propane furnaces cranked as the temperature dropped below freezing. RVs are a lot of things, but great winter machines they are not. A call to Fleetwood confirmed that our furnaces are ducted below, so as long as we run the propane heat the tanks and water lines shouldn’t freeze. 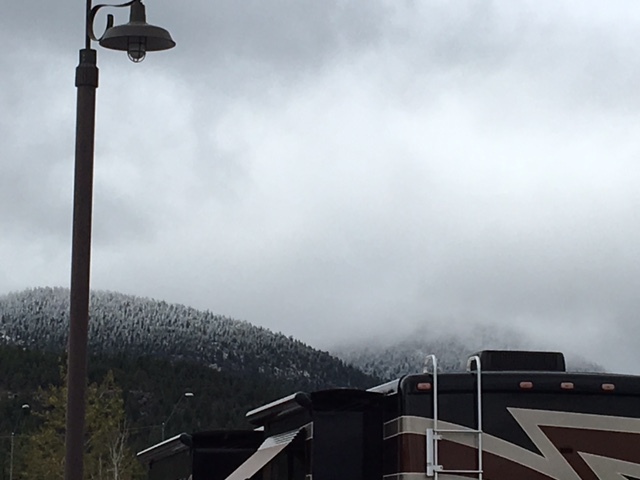 When we woke up, the hills around our RV park were covered in a dusting of snow, and it was COOOOOLD. We looked at the road conditions for I-17 and it showed snow and ice on the roadways at Flagstaff. No sense in risking it, so we stayed in Williams another day. 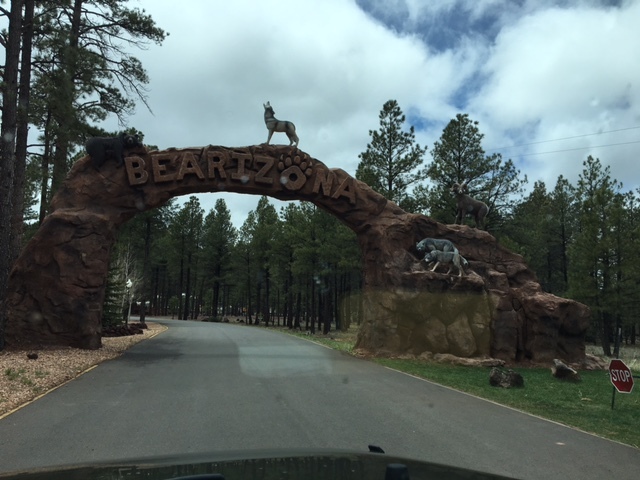 Since we had time, we decided to check out Bearizona which is just outside town. 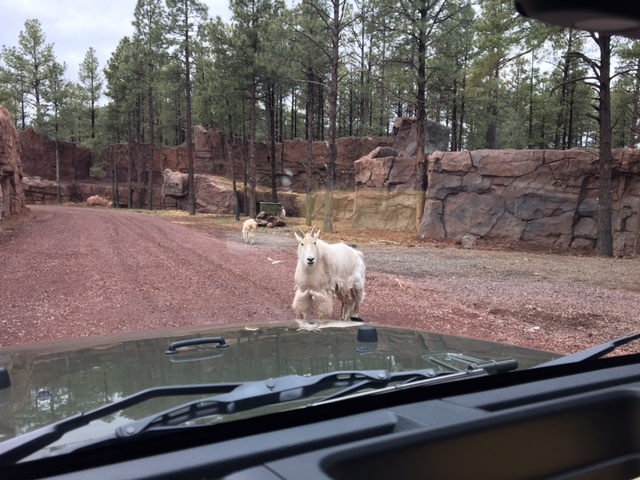 Billed as an outdoor animal park that you can drive through and see all sorts of animals, Bearizona is a very highly rated destination on Yelp. As we entered, we were greeted by a friendly and curious mountain goat. We were told that our windows absolutely must stay up when we got to the wolves and the bears. They also made us remove our tire cover, saying the wolves love to tear them off Jeeps. They were not kidding about the bears! 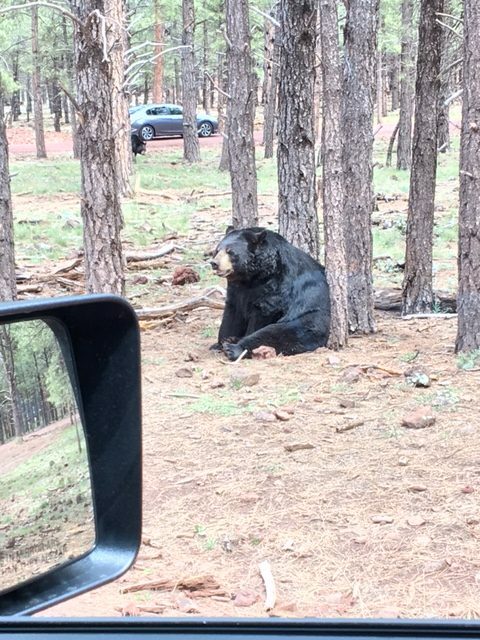 They had brown and black bears just roaming in large paddocks and we drove through. The bears did not appear to be too interested in cars, so it was easy to see them up close. Bearizona had other animals too. 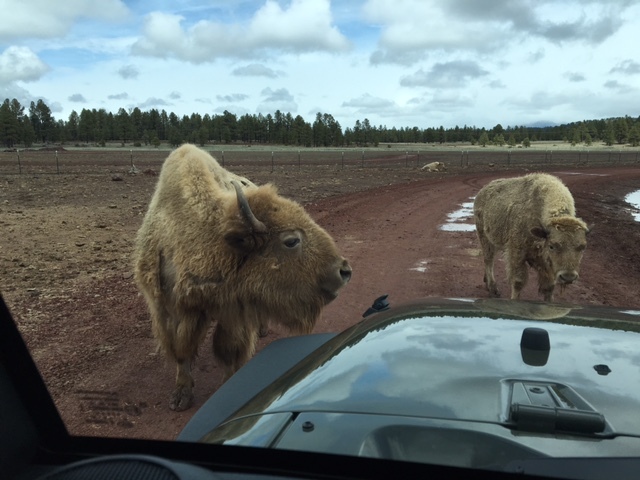 The bison were not sure they wanted us driving on their road. Eventually, they moved aside and we moved past. They even had a proud peacock who put on a show for us. 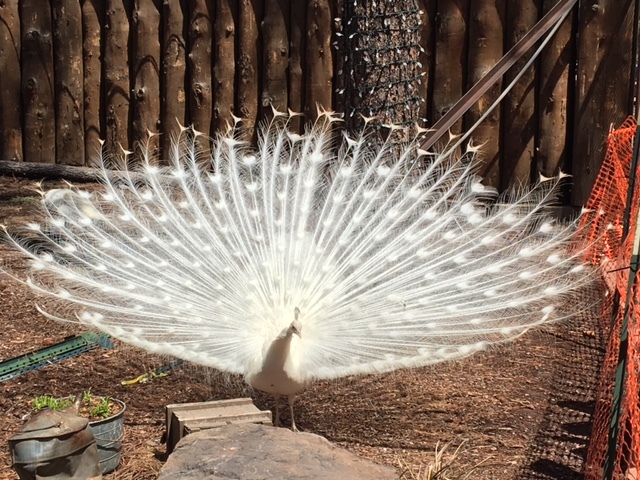 I have never seen an albino peacock before but he was very pretty. 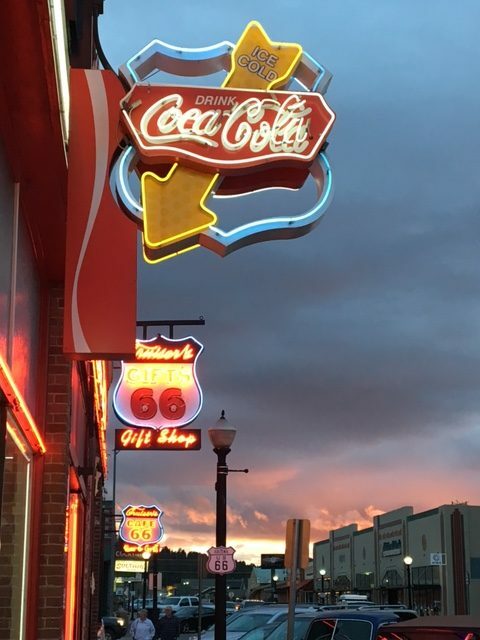 Back in Williams, nature treated us to a beautiful sunset that brought out the colors of the neon signs. We are very glad we stayed an extra day in Williams and it was a good reminder not to be in a hurry. Pingback: Restricting our electric – Live MoHo!